Each pose (transformation chain) you rig within the same element has to be part of a separate subgroup, all of which are gathered together by a Transformation-Switch node. The group name is not relevant in the multi-pose structure. These subgroups can be renamed once the rig is complete. 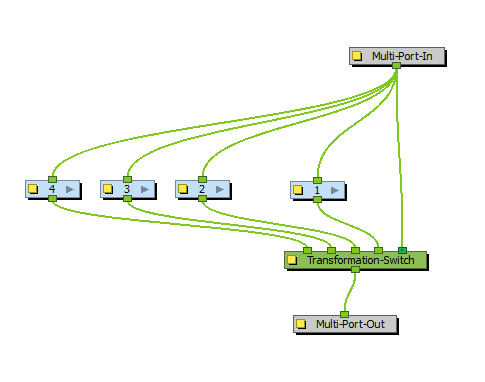 The Transformation-Switch node uses the drawing name to associate a transformation chain with it. If you rename a drawing after is has been linked to a transformation chain, you will have to manually change the drawing name associated to the chain in the Transformation-Switch layer properties. You might want to rename your drawing before you start rigging so the names correspond to the poses. For example: front, side, quarter, etc.